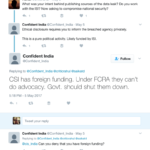 A handle calling itself “BJP insider” had tweeted in July that BJP’s IT cell had recruited professional hackers to hack and suspend accounts causing problems to boss (Modi) on Twitter and Facebook. This handle has been around for a couple of years at least and consistently tweets what it claims is the scuttlebutt around BJP headquarters. 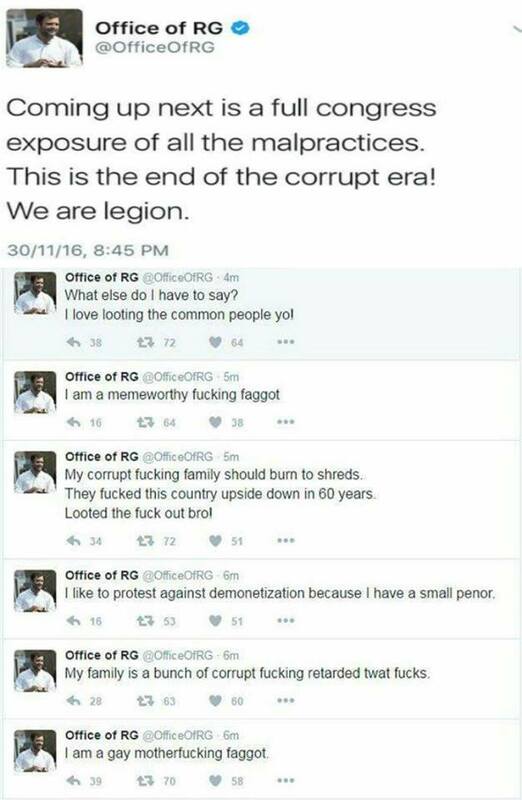 Our IT cell has recruited professional hackers to hack and suspend accounts who are causing problems to boss on Twitter & Facebook. By itself, it may not mean much, as several months had passed. Or it could mean a lot. Who knows. 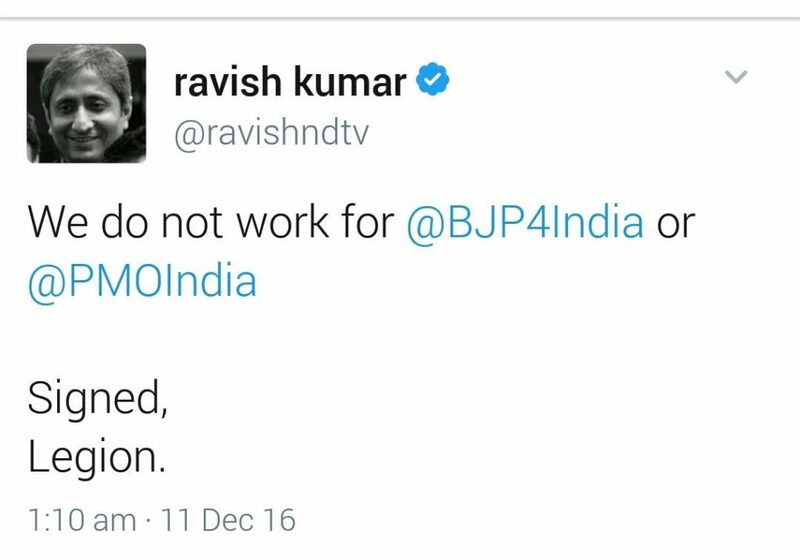 It is hardly like BJP has never hired people to do their dirty work online. After the second week of demonetistion, there were several rumors that BJP had plans to target political opponents in various ways. The manner in which they circulated and the variety of actions being suggested as possible don’t suggest a single source. Also some deliberate events happening to discredit conspicuous critics of the demonetisation gave credibility to the rumors. For example, the most popular one expected was Income Tax raids on people. However the “false alarm” with Mamata Banerjee as well as ex-Prime Minister Manmohan Singh under investigation for a scam within days of a powerful speech and article pointing out concerns about demonetisation certainly raise questions about the timing. 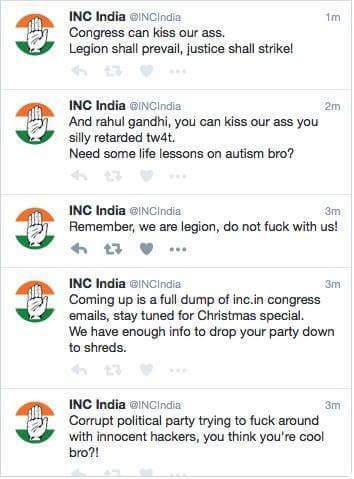 All the identities targeted are top targets of BJP’s online troll gangs. Both individuals and organizations. 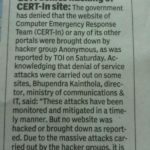 Incidentally, once this was raised, @Joydas was among the first to comment that a token BJP hack would happen. And it did. 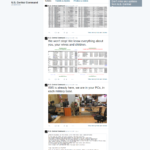 No undesirable tweets got posted and a large “dump” of their database was apparently put up that no one seems to have downloaded (because the hotshots basically DoSed their own server with it, looks like). What is in it could be anyone’s guess. But given the complete lack of agitation in the bhakts normally frenzied about the slightest adverse development, it is difficult to believe this to be an adverse development. 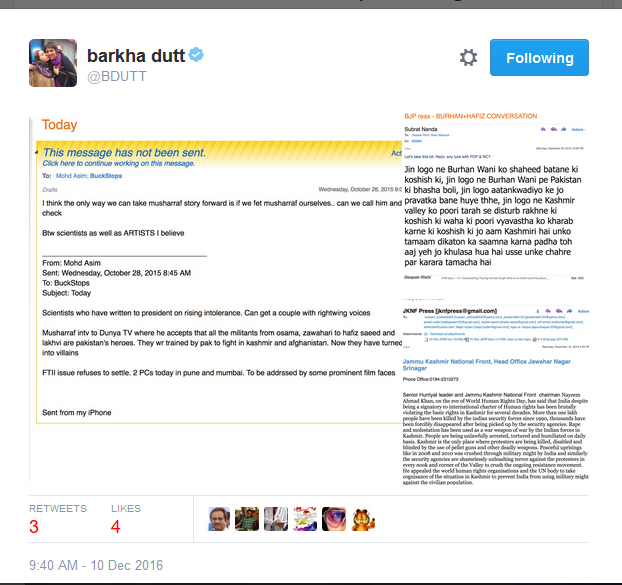 Screenshots posted of what appears to be a transaction notification email to Barkha Dutt from the Standard Chartered bank have two glaring issues. 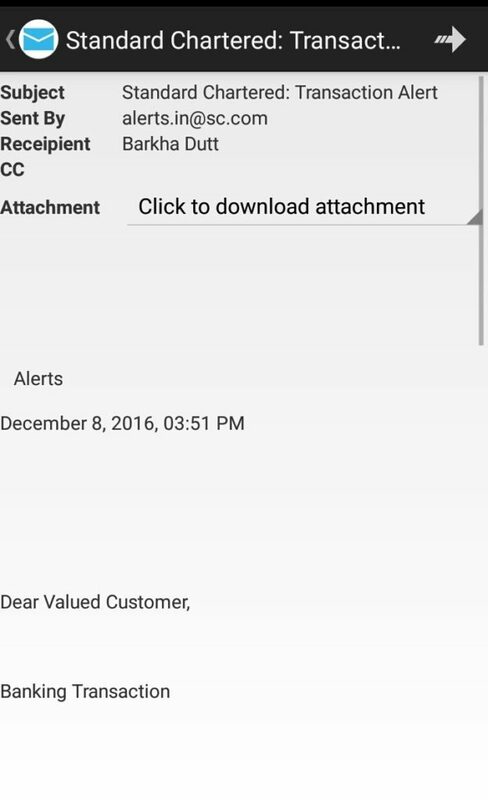 When is the last time you received bank notification of transaction a day after it happened? 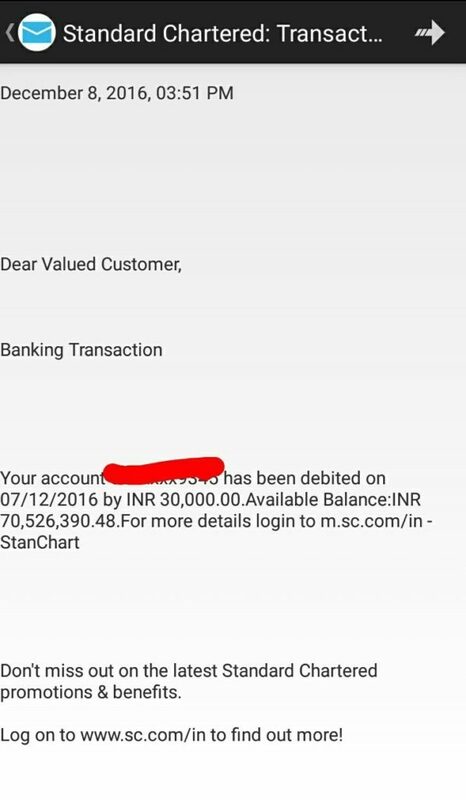 And that too for what would apparently be a VIP account given the balances claimed. And no, there doesn’t seem to be the possibility of a transaction done just before midnight and notified after midnight, given that this is the afternoon of the next day. What email application is it anyway? While I admit I didn’t search very hard, I did employ the assistance of google search. The only match anywhere in applications seems to be one called “fake text messenger” – unless of course the hacker built their own email app or has something obscure. Or it may be some custom OS – who knows, maybe will help cops trace the phone. What navigation is that anyway? There doesn’t seem to be any “menu” provided for this “email”. Back arrow next to the icon one can understand – goes back to the archive. Where would an arrow pointing right go? Twitter? :p No need to delete, archive, etc and reply is out of question of course, given the quality of spellings. We have here a banking notification that points to a mobile site at one place and regular site the other. 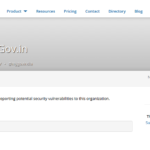 No https (though the url will redirect). Who in the world points to mobile sites in notification emails in the age of autodetection? Probably “hackers” who hack using mobile phones. Either they are very very good or nowhere near the server, given how tricky mobiles can be. Whoever has seen an email from a bank that ends like this? 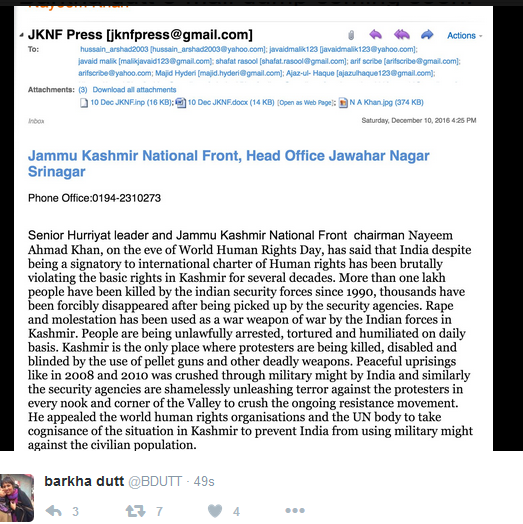 Some emails supposedly “leaked” by the hacker are like total Kashmir Pakistan obsession. I mean seriously, a politically indifferent hacker gets into a big journo’s account, and all he can find is emails on Kashmir? ok. Really? REALLY? This is probably the first when a hacker out to “expose” missed actionable information (or even to seek it, looks like, if this is the highlight of the hack). For that matter, it could be anyone’s inbox. Worldclass hackers, put up a 98MB download with piddly bandwidth, DoSed their own expose? Hilarious. I suppose by the time the traffic goes down, BJP will have it taken down as “action taken”. If you can download the files they have posted, I would highly recommend you not do so unless you know what you are doing and have secured your machine appropriately. If you have to ask how to, don’t. 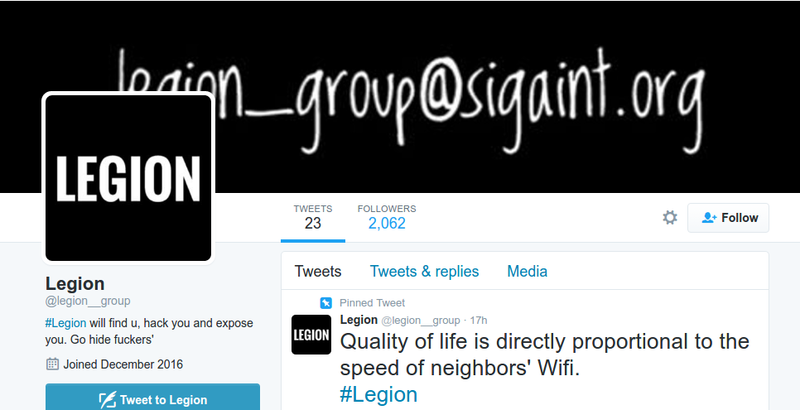 Maybe it is possible that Legion ain’t BJP backed. I’ll believe it when BJP arrests them. Surely an attack on a political party, account of an MP and journalists – who have protected sources who could be at risk – warrants investigation and arrests right? So let us see.